Degenerative ailments such as Muscular Dystrophy (MD) and heart disease are becoming common. 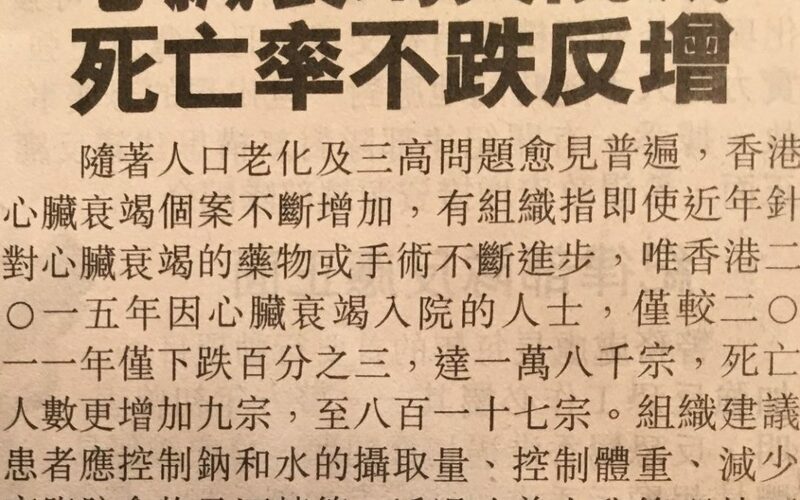 Below are news clips from Sing Tao Daily: one on patients with MD asking Chief Executive of Hong Kong to help on drugs, which could cost over 6 millions annually, but would not improve muscle mass or movements! Another one cited the rise of death rates from heart disease amid drop in hospitalizations. A Hong Kong physician with MD and congenital Drop foot saw a video on my Blog www.drtong.com showing how I have restored muscle movements instantly on a terminal MD patient with one treatment, using Energy patches only. He wrote to me for help. “Feel really excited be connected with you especially after seeing your drtong.com the numerous successful healed examples of many difficult illnesses. I am indeed most excited in viewing your patient with muscular dystrophy by using Lifewave Patches having such a dramatic response to the treatment. I am a sufferer of Muscle Dystrophy also. Mine is a hereditary one called FSHD (Facial Scapular Humeral Dystrophy) and I developed bilateral drop foot since 30 years ago. My younger son has also been inherected FSHD and he is 40 years old. The article below shows how my NBE therapy can CURE these problems at much lower costs. All arises from the Mind; all is cured by the Mind. The arrival of its healing qi, cures problems of every kind. As the article explains, humans are both physical body and non-physical mind. The mind is the the living part whose vibrational energy qi attaches to blood flow and commands blood cells to heal disorders to sustain health, which is similar to the soul guides the body to solve problems to maintain societal health. Disorders result because qi/blood flows are blocked (mind/body blockages, MBB), depriving tissues of the healing power. 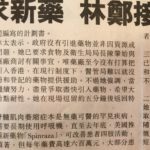 百病源於经络堵塞. 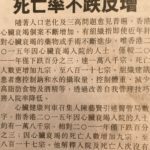 [内经] 经络不通百病生. MBB causing disorders is similar to traffic jams causing societal problems. Clearing MBB cures disorders just like opening traffic jams would solve societal disturbances. In both cases, qi is the key, as it provides life to the organism. Dead cells in blood or dead people in traffic could not solve problems. Posted on www.drtong.com are thousands of testimonies from patients with a full spectrum of disorders, most of whom suffered for years with no relief but got dramatic relief with my first treatment using anesthetic blocks to enhance acupuncture, a therapy I call Neuro-BioEnergetics, or NBE. The terminal MD patient I treated with Lifewave patches could not open his eyes or mouth, and had no respiratory chest movements. Yet after receiving the patches, he could talk, shift his weight and breathed with good chest movements! Another patient, Diana, with 10 years of sciatica painf on one leg, which was much smaller than the normal one. Her pain was greatly improved after my first treatment, and after three months of therapies the atrophic leg returned to normal size. Robin, 68 y/o, was assaulted. For 12 years she had severe back pain shooting down one leg, which had atrophied by 40%. She was wheelchair-bound but could walk painfully with a metal brace and walker. Her pain was nearly gone after one treatment. 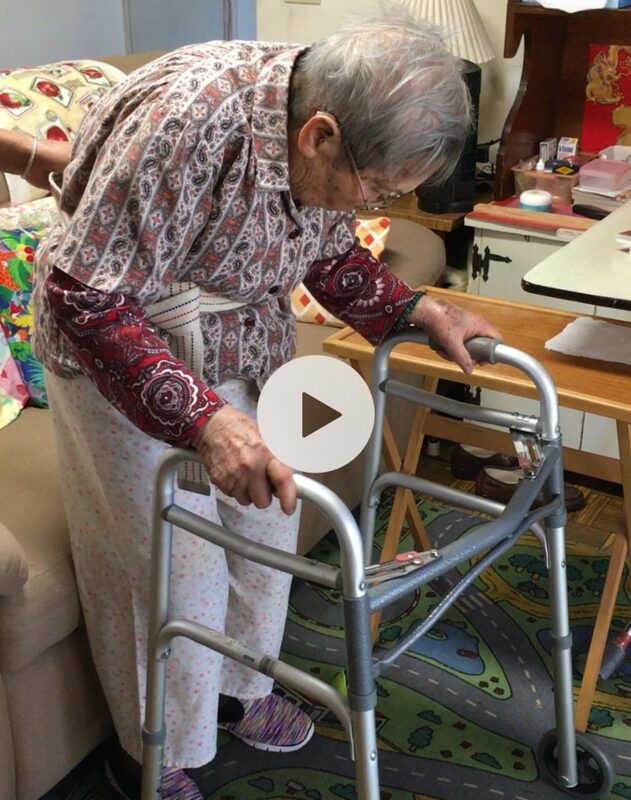 She was in tears with joy, as she could walk slowing without the brace and walker! Her bad leg grew back to normal size after three months of therapies. On the section of the patches, view another video about the Singapore girl who had throat cancer. She was nearly killed by 9 chemo and 38 radiation therapies, but was completely healed with the LW patches alone! See also how I immediately cleared the flu symptoms of my grandkids and other disorders using the LW patches. According to TCM, the spleen controls the muscles and is the main organ that remove mucus. Excessive mucus is called damp – the most prevalent problem in a modern society. It is caused by too much refined sugar, carbohydrates and fatty foods. Western doctors do not understand that all symptoms, especially emotional stress, are related and cannot be cured by treating each separately.with drugs. Another problem is that acupuncture and natural therapies are too weak for severe MBB. So millions of patients find little solace from serious conditions. Fortunately, NBE therapy can relieve severe MBB. In fact, because of my clinical experience as well as self therapies, most of my patients improved even with the first treatment. However, chronic disorders are complicated and cannot be healed online. Moreover, learning a proper diet to balance the pH and qi in order to sustain health will make a trip to see us worthwhile. Most people do not realize that taking chemical drugs forever is harmful. The case below shows the huge difference on the quality and costs of healthcare between the curative NBE method and symptomatic western approach. Fred was an 87 y/o man with Parkinson’s disorder for 12 years. His hand tremors were so great that he could not dress or feed himself. His legs had spastic jerks that he kicked his wife during sleep. These twitchings caused him to fall five times, fracturing many bones that needed surgical repair. At 67 he had a MI and underwent a triple bypass. Later he developed Mitral Valve prolapse. He had many mini-strokes that made his speech slurred. He needed hearing aids and wore diapers due to incontinence. He had cataract surgery and wore glasses. He took many drugs, which caused insomnia, dementia and other side effects. His response to my first NBE was amazing. His symptoms improved so much that he was able to sleep through the night without kicking his wife. Moreover, he could cut his own meal and had not fallen since. With further treatments, he dropped all medications including those for his heart, and no longer need glasses, hearing aids and diapers! In addition, within six months he was dancing with wife weekly. One problem that kept recurring was his memory. His GP prescribed two drugs for that, which exacerbated the problem such that he could not recognize his family, slept excessively, or went out at night and got lost. Countless tests were done and repeated on Fred by numerous doctors, but their therapies not only were ineffective, but caused more problems. In contrast, we did no test but were able to help him with each treatment! In summary, disorders can be cured. I have had three major health crises myself from a qigong mishap. Each crisis made me look old, ugly and sick, but I was able to regain my health and youth through self therapies. Check out the anti-aging photos from my biography on section 1 of a-monumental-medical-breakthrough-2/. Also, due to weak muscles I hunch my back, which was exacerbated by a spine fracture caused by a therapist. The condition became worse the past few years after my qi was drained from seeing cancer patients. Both my parents have severe hunched back. My mother’s problem was the worst due to taking Fosamax and other drugs against my advice. See photo below. However, I am happy to say that I have recently found the right combination of therapies that for the first time in decades I can stand straight when my qi is strong. In other words: it is all mental; it is all qi. Part 2 of this file are cases divided according to diagnoses. They show that all acquired ailments, including cancers and mental disorders, can be cured, and that drugs, chemo, radiation, dialysis, organ transplants and most elective surgeries, can be avoided. I have presented my findings in a medical conference in 1996. But major journals would not publish my papers. I have also sent the information to President Obama and later to President Trump, but have not received a reply. Part 5 is a letter I wrote to Chairman Xi jinping regarding this information, but have not received a reply. I feel he will act on it if he has been properly informed about the letter. With many TCM doctors, China should lead the world in embracing the profound Chinese wisdom to benefit of humanity.